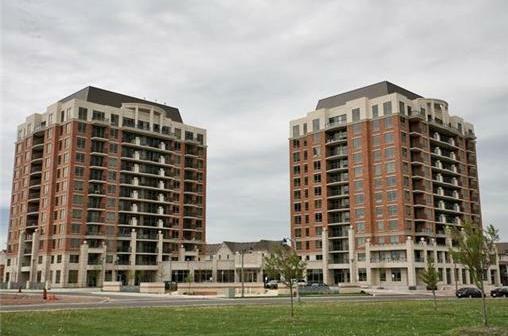 One Oak Park condominiums are located 2325, 2365 Central Park Drive in Oakville. These condominiums were built in 2005 and 2007 by Tribute Communities. One Oak Park are mid size 12-storey buildings. There are one and two bedroom suites in these condominiums. Suites are ranging from just over 500 sq.ft to almost 900 sq.ft in size. Suites finishes include hardwood floors, granite counters and stainless steel appliances. The amenities are outdoor pool, hot tub, fitness room, party room and visitor parking. Condo fees include: common element maintenance and insurance, heat, water. Hydro is extra. Suites are sold with underground parking and locker. The condominiums are close to Dundas Street with large plaza with LCBO, Real Canadian Superstore, Wal-Mart and other stores. Highway QEW is short drive from the condominiums.